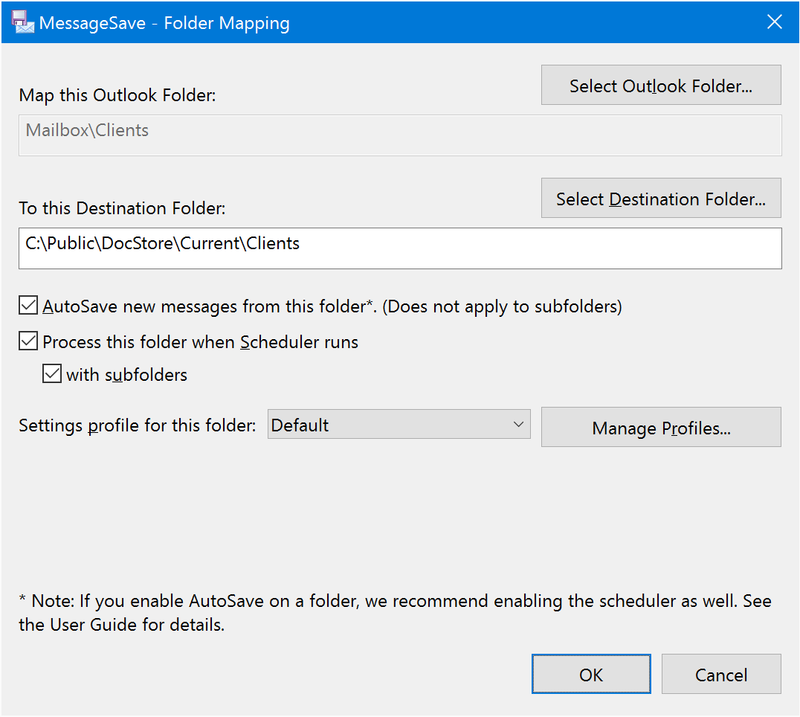 Enabling automatic processing on an Outlook folder. See Automatically saving messages for details. Defaulting the value of Where to save field when you enable the Map Outlook Folders To Destination Folders mode. Select the Outlook folder you would like to map. Specify Destination Folder you would like to use for this Outlook folder. Save new messages as soon as they land in this folder. Save new messages when the scheduler runs. To configure Scheduler click configure on the AutoSave tab of the Advanced Options window. Include subfolders of this folder when running the Scheduler.